Over the past few decades, Koinonia House has encouraged people to donate to our Israel Relief Fund. As the fund builds over time we look for ways in which we can assist the people of Israel. In the past we have given funds for a wide range of items including the purchase of emergency services equipment, blankets to IDF soldiers, and civil defense support just to name a few. As 2018 drew to a close, we became aware of a unique opportunity that really resonated with us. 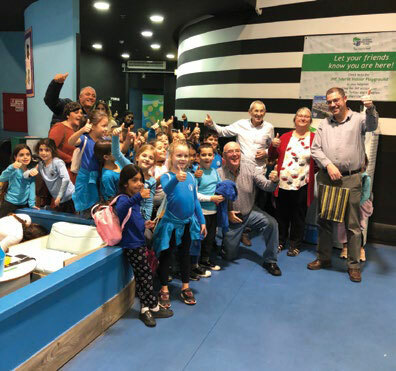 Brian Hughes, who is a long-standing member of our Board of Directors, informed us that in a discussion with the Israeli Ambassador to New Zealand he was made aware of an exciting opportunity to support a children’s play facility in Sderot. With the exchange of a few emails of introduction I found myself being ushered into a world I could never have imagined. 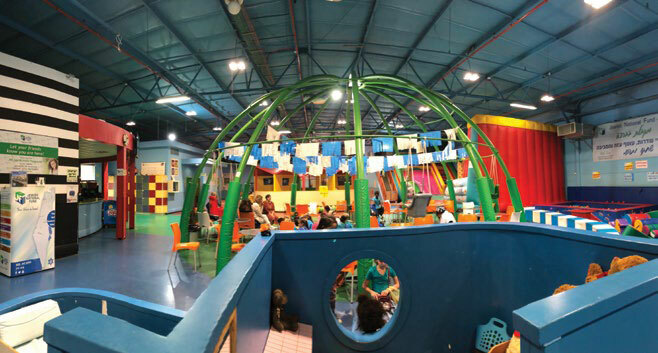 After careful and prayerful consideration, the Board of Koinonia House unanimously agreed to donate the accumulated Israel Relief funds to a very special play area in Sderot, Israel. 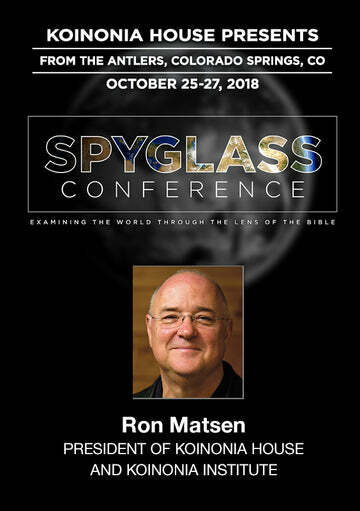 It was decided that, following our 2018 BASE Tour to Israel, my wife Marcie and I would travel to Sderot and make a formal presentation of our financial support for their ongoing project to provide a bomb-proof indoor playground for the children of the city. 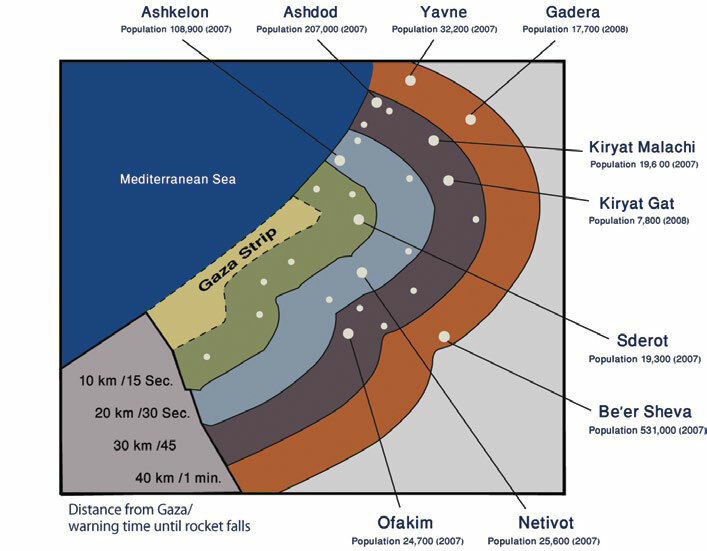 As we enjoyed the pleasant drive south from Jerusalem through the fertile western plains of Judea, I experienced a mixture of excitement and trepidation, given the fact that just 3 weeks earlier more than 300 Qassam rockets had been launched into southern Israel with most of them being aimed at Sderot. On Sunday, 11 November, in the hours after a failed covert Israeli military operation, 17 rockets were fired from Gaza into Israel of which 3 were shot down, causing sirens to sound in Sderot. The next day at least 300 projectiles, of which 60 were intercepted, were fired from Gaza into Israel during the day, wounding nine civilians. 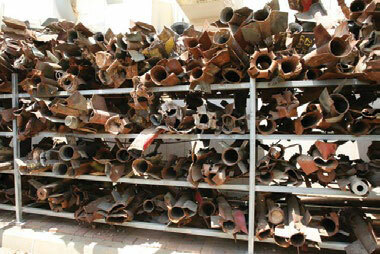 Since 2001 there have been more than 20,000 projectiles launched from Gaza at the cities of southern Israel. As the Qassam rocket has a limited range of about 10 km (6.2 miles), cities like Sderot are the prime target for these weapons of terror. In 2001 Sderot had a population of 20,000. Within only a few years, 25% of the city’s residents had moved to find a safer place to live. According to a recent study, 40% of children in Sderot suffer from PTSD (Post-Traumatic Stress Disorder). Prof. Ruth Pat-Horenczyk, Director of Children and Adolescent Services of ICTP from the Hebrew University explained, “Even during wartime, the level of PTSD among children nationwide hovers somewhere between 7 and 10 percent” Because of the constant, threat the town’s 3,000 children, were forced to remain indoors all day rather than risk the chance that they wouldn’t be able to reach a bomb shelter quickly enough during a rocket attack. Upon arriving into the city of Sderot I was immediately startled by the site of mini bomb shelters on every street corner, at every bus stop, and along every long public pathway. I shuttered at the thought of what it must be like to live a normal life on the front line of a war that seems to have no end. Exit gate from the children’s playground bomb shelter. Our first visit was to a building the locals call “The Big Blue Box.” Following a rocket attack in 2008 a decision was made to build the playground on the very site where a rocket had hit the city. In 2009 the Jewish National Fund-U.S. provided an initial US$5 million for a safe recreation center. It is surrounded by anti-shockwave walls (painted in blue, yellow, green and red), is nearly 2,000 square meters (21,000 square feet) in size, and it has room for 500 people. Marcie and I were greeted with open arms as we entered the huge concrete bunker. As we entered, we immediately heard to sound of children playing. The facility manager gave us a tour of the facility, introduced us to some of the staff, and showed us a video of the plight of the people of Sderot He then let us meet some the children and take a selfie. Truly an amazing and humbling experience. Ron and Marcie take a ‘selfie’ with some of the children inside the bomb shelter. 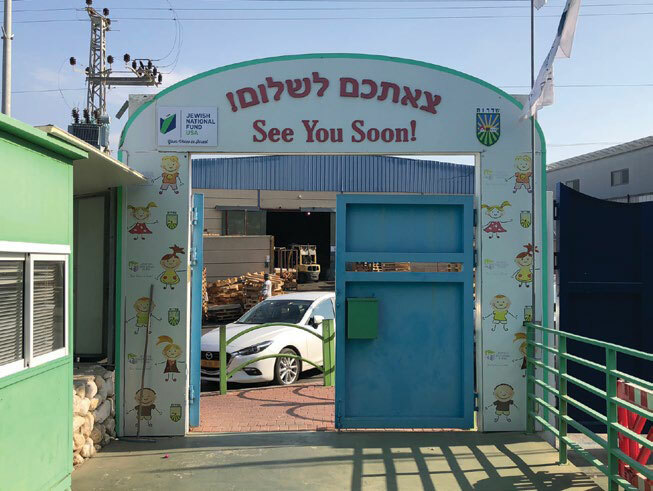 Following our visit to the playground, we were then driven to the City Council building in the center of the city where we met Mayor Alon Davidi. He is a pleasant, soft-spoken young man who has been the mayor since 2013. When we arrived, he was quick to express his deep appreciation for the gift from Koinonia House and told us that it came at a very opportune time. Given the typical fiscal constraints of running a city he told us how they wanted to add an extension to the Blue Box but lacked the funds. He then went on to explain that our donation would now allow them to move their expansion project forward. He gave us a beautiful little sculpture that was made by a local artisan out of the remains of a Qassam rocket. The sculpture has three main elements; a dove, sitting on an olive branch, rooted in the center of a map of an undivided Israel. 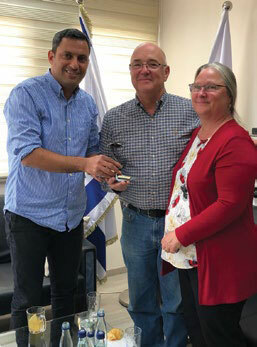 Mayor Alon Davidi presents Ron and Marcie with a sculpture made from the remains of Quassam rockets fired into Israel from Gaza. During our visit with Mayor Davidi I asked him to give me some insight into what it was like to live on the front line. “We live life in 15-second intervals,” he replied. 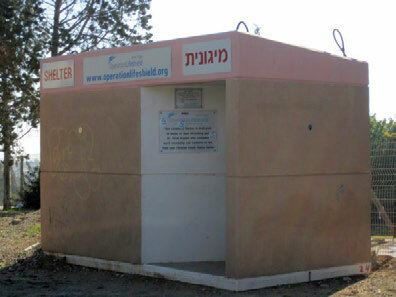 “No matter where we are, no matter what we are doing, we live our life constantly aware that at any minute of the day or night we may be called to respond to the rocket-attack warning which gives us only 15 seconds to get to a bomb shelter.” In Sderot every building has one, every home has one, every possible vulnerable area has one. Every person, citizen or visitor, in Sderot carries the extra burden of having their ears tuned to the warning sirens and their lives ready to be interrupted at a moment’s notice. Nevertheless, while the world around them seeks to destroy them, the children of Sderot play in safety; at least for now. The people of Sderot have learned to live life with a constant anticipation for the unexpected. In the midst of tension and threat of terror, the people here have learned to cope because they have taught themselves to have hope. The citizens living here with this constant threat willingly do so because they believe that they can make a difference for the State of Israel. What would happen if we, as Christians, lived our lives in 15-second intervals? Not motivated by the fearful anticipation of a sudden attack from an enemy, but because we believe that we are Christ’s hands, feet, and voice to this generation, and that Jesus Christ is really coming back SOON. Our constant anticipation should be that we could meet our Messiah at any moment and then face the Judgment Seat of Christ where our fruit-bearing as Christ’s disciples will be rewarded. In times of trouble, where is your “strong tower?” What consumes your time, talent, and thought? Are you willingly living in the face of the adversary for the Gospel’s sake? February 2019 Personal Update News Journal.